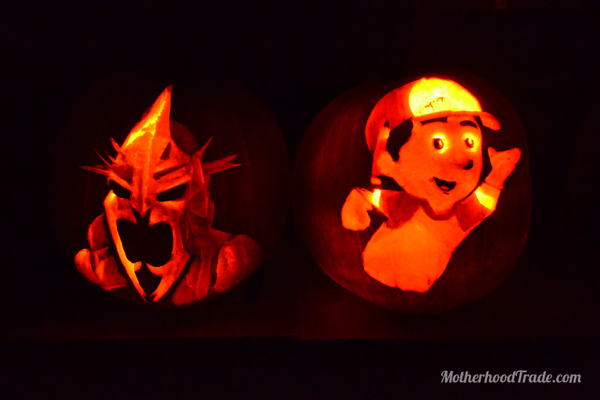 The coolest way to carve your pumpkins this Halloween. You might have guessed by my last post about our 5 years of family Halloween Costumes, that we might like our Halloween just a tad. 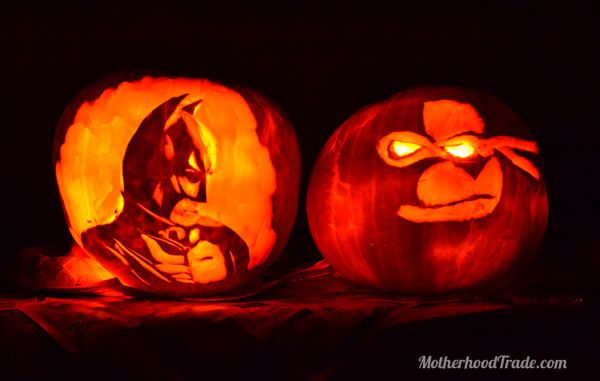 Well, everything that goes with it, like pumpkin carving, is no exception I’m sure you’ve carved pumpkins before, but have you ever thought of actually ‘carving’ your design into the pumpkin instead of just making a cut out of the design? With this technique you attempt to give your drawing depth by creating areas of light (cut out) and shadow (uncut) and ranges of midtones in between with different depths of carving. The results can be quite impressive! Mark the areas you know you want black (scribbles here) Start by cutting out the part you know will be ‘white’ or the brightest area of the drawing. Then grab a chisel or whatever pumpking carving tool you like to use and start scraping away at all the different shades of your drawing, avoiding the parts marked black, of course. Remember, the deeper, the lighter. Cookie is a fun and rather forgiving character to do since much of it the midtones was a texture that doesn’t necessarily have to be precise. Keep textures in mind when considering a design. Here is one the Mr. did last year (of only the greatest football team of all time, of course) that didn’t have texture but had basically three different colors, so three different levels of cutting. Last step is to add a candle or better yet an electrical light (so you don’t have to create ‘breathe’ hole on the top or side), turn off the lights and enjoy … it such a cool effect you might jump a little with excitement. Here are some from last year…Tremble before the might of the Witch King of Agmar…. and … Handy Manny…. In pumpkin form. 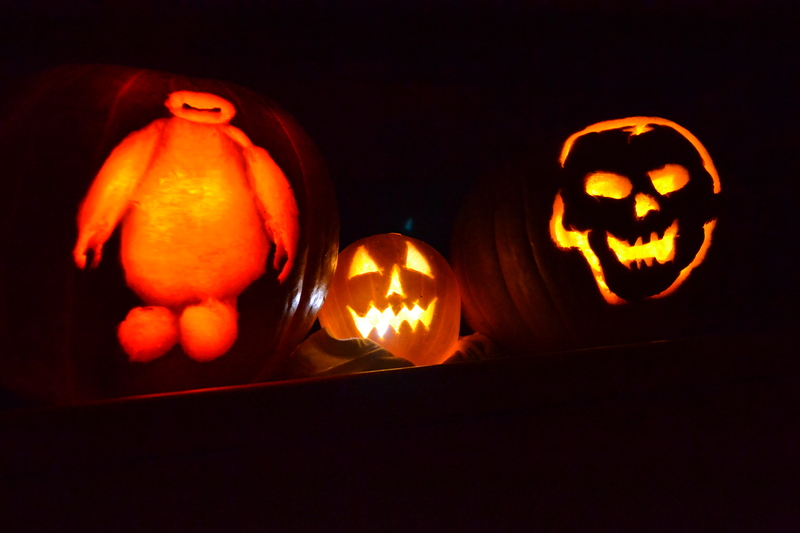 Have you tried any fun/different pumpkin carving techniques? 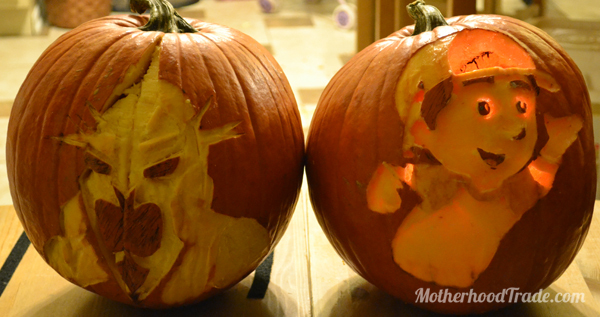 Share in comments, or link up to your carving designs, we want to see! !